Due to the size of the printable area on many engravable products there is only room for a certain amount of text and or image. As this actual order shows, the final image has been modified from the customer’s original version (1) to the new version (2) to suit the area available. Some of the text has been removed and the image of the gates has been enlarged, too finer detail maybe lost. We would not proceed with an order until the artwork is approved to yours and our satisfaction. 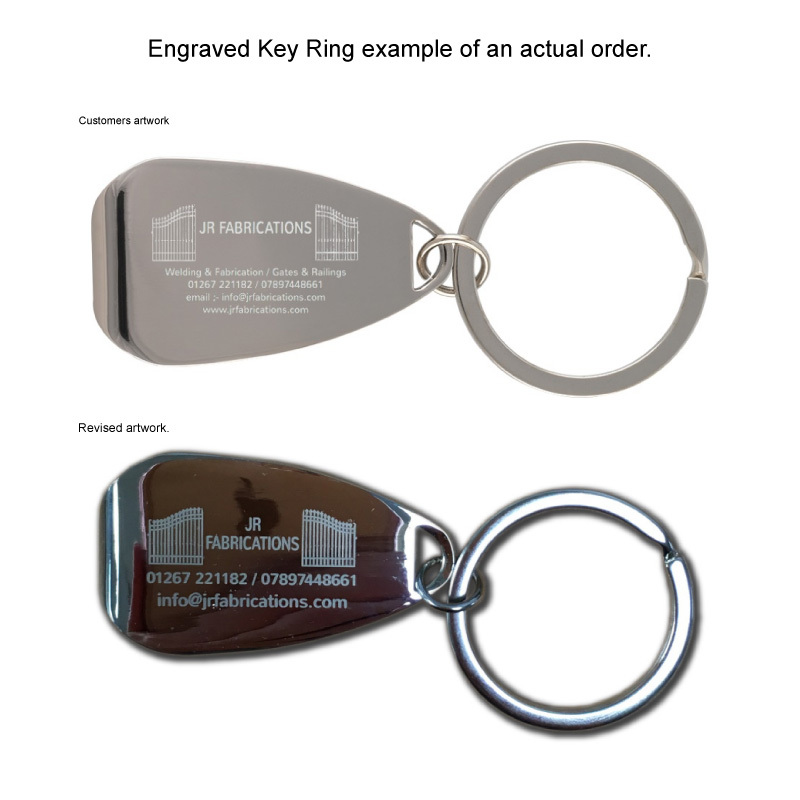 Actual Engraved Product Example Key Ring. Personalised Products and Gifts - No Minimum Order.